Not too long ago my family and I went through a big change in our lives when we moved across the United States from Nevada to Connecticut. In that season of change, as my husband started his new job, I could take some time to be at home to help with adjusting to a new neighborhood, a new school system, a new community and pretty much a new everything. In this season, I felt particularly led by God with a seemingly small but never the less “a calling”. This “calling” was to get up early and make my family a nice hot breakfast and read from a devotional/scripture. Now, when my bed is all nice and cozy, the cool fall weather is rolling in and the sun is rising later each day … being the first one out of bed when I don’t have a time card to punch does take a bit of a push on my part. Granted, there is no real physical agony or anything but it does take an effort to leave that nice comfy bed. So, with this “gift” that I was giving to my family, I suppose I sort of imagined everyone would come running downstairs just as soon as they could to get their nice hot breakfast I labored over. There would be sentiments shared about what a wonderful wife and mother I am … this was just how I imagined it to be in my head. Well, my timing was horrible as I had decided to say this the morning of my husband's birthday. Although I did not rant or rave or make a hissy, I had that “tone”. Very soon after I realized that that tone was the tone I set for the day … on my husband’s birthday. Yes, I am that person. My husband is not perfect by any means, nor am I, but I can tell you one thing … he is a wonderful man who I am proud of. He tells me I am beautiful, he supports me in my decisions, he works hard, he is a dedicated and responsible husband and father, I am blessed to have him. Did I feel a little irked he did not skip down the stairs to eat my hot breakfast singing my praises …? Certainly. But gratefully God put it on my heart to see how silly and critical I was being. God further put it on my heart how much I have to be grateful for. The eggs He has supplied are a gift. The roof He has put over our head is a gift. My family is a gift. I still get up early and I make breakfast. It is not the size of the task that matters but the gratitude in my heart that interests God. 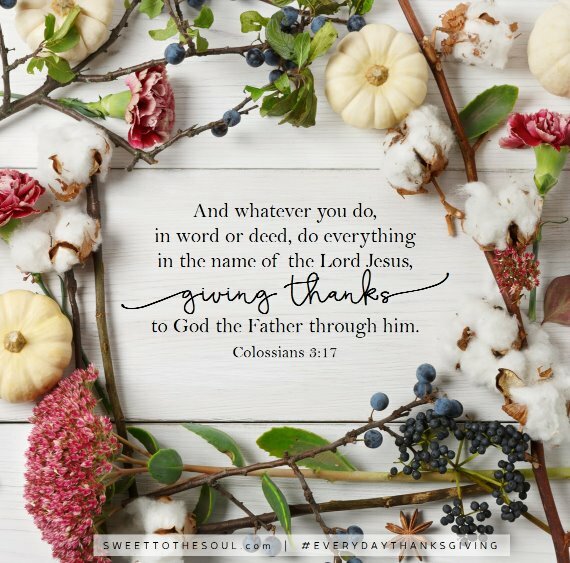 I may not always “feel” grateful but I can lean into God, asking Him to pour into me a thankful heart as I go about my day. I can ask God to give me a grateful perspective. Gratitude is more than a mere feeling; it is a practice. 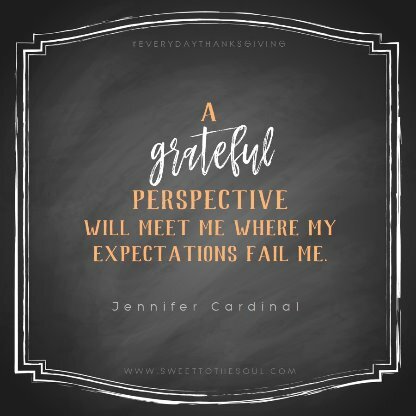 A grateful perspective will meet me where my expectations fail me. In the end, if the eggs are cold when my boys come down for breakfast, they will get the picture and realize if they want a hot meal they better come down earlier. After all, no one ever died over cold eggs and in the big scheme of things it really does not matter. My words and my attitude will have more impact on my family than my eggs ever will. ​Jennifer Cardinal lives in Bethel, CT with her husband and 13 year old son . She also has two grown college age daughters spreading their wings out in the world. Jen as she known by her friends practiced as a chiropractor for 17 years before moving to CT from NV where she started working for her church in ministry. She loves to write, all things food, and being out in nature whether it's skiing, bike riding, backpacking, kayaking or exploring with her family. She is a self proclaimed imperfect mess who God has rescued and her life now has become a journey in getting to know Him more and more.